According to Jamie Redknapp, Coutinho might just be the best playmaker in the Premier League already. Our Brazilian was magical against West Brom at the weekend, scoring a wonderful goal and playing a delightful part in Sadio Mane’s opener to boot. This term, he’s notched five in all competitions and been extremely creative in nearly all the matches he’s participated in. 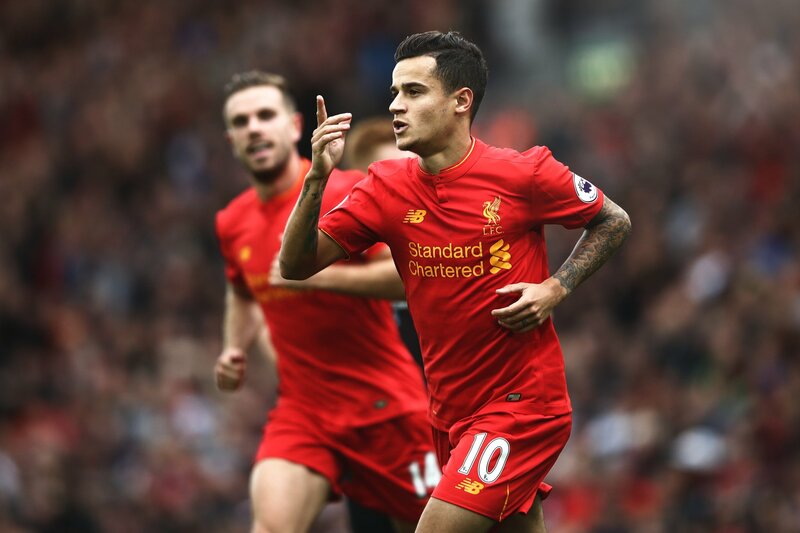 “Philippe Coutinho was different class against West Brom. He scored a great goal and created three chances in Liverpool’s win,” Redknapp told the Daily Mail. Arsenal have the gifted Mesut Ozil, Manchester City have David Silva and Kevin de Bruyne and Chelsea have Eden Hazard, but we’re not sure we’d swap our 24-year-old for any of them. Starting from the left, Jurgen Klopp has awarded Coutinho a free role, in which he can cut inside, switch flanks or simply drift into pockets of space. When he’s on-song, he’s practically unplayable and our key now is to tie him down to another long-term contract. There’s no doubt that huge European sides will come in for him next summer, so a new deal will definitely help our chances of keeping him. In the next few years, Coutinho could develop into one of the world’s very best players. He’s that good.